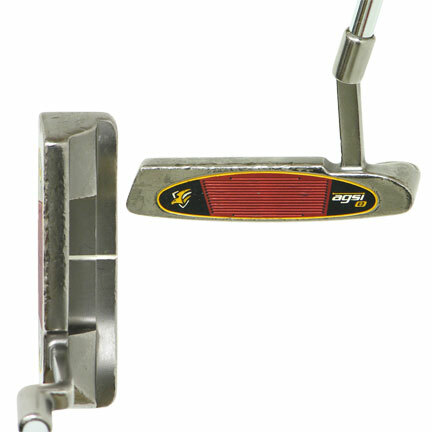 The head could use a little more weight if you like a heavier putter. But I guess that's a personal preference. The TP line by Taylor Made gives you great options for each putter style.I tried multiple putters from odyssey and Taylor Made.I came to the conclusion that,for the money,taylor Made was just as good quality or better,especially with the blades.I really love the overall look and feel of this putterI actually reversed an off angle strike from almost 3 degrees to .5 very quickly.I love it! Well first off all, I bought this putter in "mint" condition, but when it came in, I was surprised to see the wrapping was still on the head and grip... it was brand new. Once I hit it for the first time, I wasn't disappointed. Feels really soft off the face. 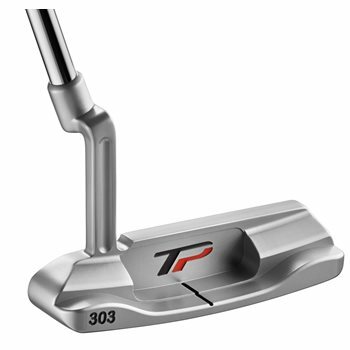 The only problem I have with it is it's not the most forgiving putter, even though it's not supposed to be. Offcenter strikes do come up short very often even with the weights in the heel and toe. Overall, the putter looks and feels amazing and both the superstroke and stock grip work awesome, just not the best putter if your inconsistent with your strike.